Arthur Anderson (Service No 6703) was born in Bulli, N.S.W. and attended Woonona Public School. On 11th September 1912 he married Maud Fletcher in Lithgow, N.S.W. 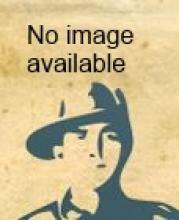 At enlistment Arthur 29 years old, worked as a miner and the family lived in Wollongong N.S.W. He embarked from Sydney on SS Port Nicholson with 13th Battalion, 22nd Reinforcements on 8th November 1916. Arthur arrived in England on 10th January but due to health issues, he didn't arrive in France until 2nd March 1918. Soon after joining 13th Battalion on 8th March 1918 Arthur was wounded -on 22nd March 1918 he received a shrapnel wound to his nose and was evacuated to hospital for treatment. He returned to his unit on 3rd July 1918. Arthur was returned to Australia in April 1919 and discharged on 9th July 1919. He and Maud remained in the Bulli area and raised 4 children but were divorced in 1940. Arthur married again and he and his second wife, Gwendoline Thomas and raised 3 children. Arthur died in 1947 and is buried in Eastern Suburbs Cemetery.